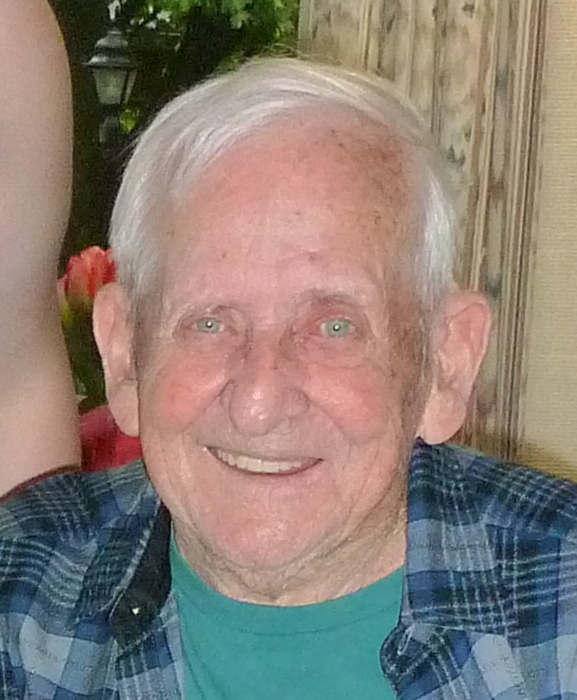 Obituary for Herbert L. "Herb" Overlander | Hunter Funeral Home, Inc.
Herbert L. “Herb” Overlander, 90, of Mendon passed away on Wednesday, September 5, 2018 in the North Adams Home in Mendon. Herb was born on September 18, 1927 in Golden to the late Chris and Clara (Kaufman) Overlander. He was first married to Eva Darnel then later was married to Helen Miller. Both wives preceded him in death. He was confirmed in the Lutheran faith and was a railroad and factory worker and mowed yards for several years. He enjoyed hunting squirrels, gardening, yard work, coin collecting, watching westerns, camping and listening to country and western music. Surviving are; one daughter Rosetta Huffacker of Avondale, Arizona; for grandchildren, Gregory (Faith) Overlander ,Thomas (Carol) Cornic, Timothy Cornic, Jeffrey Cornic; eight great-grandchildren; a brother, Hank Overlander of Peoria; a special nephew that was raised with Herb, Jerry (Janet) Shirts of Imboden, AR and two nieces and three nephews. He was preceded in death by two brothers, Jake and Clarence and two sisters, Rosetta and Norma. Services will be 11:00 A.M. on Saturday, September 8, 2018 in the Hunter Funeral Home in Mendon. Interment will be in the Mendon Cemetery. Visitation will be from 10:00 A.M. until the time of services in the funeral home on Saturday. Memorial contributions have been suggested to the North Adams Home. You are invited to share memories of Herb and leave condolences at www.hunterfuneralhomes.com.